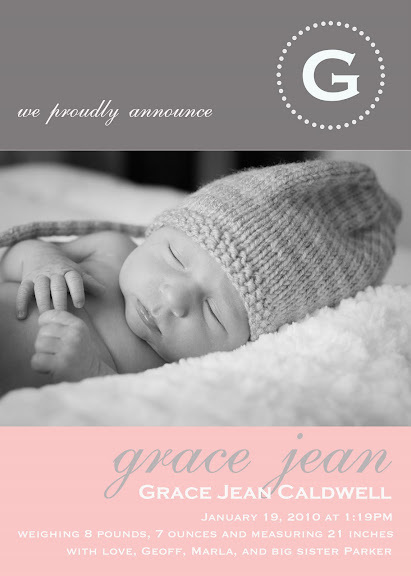 better than i could have imagined: Grace's birth announcement. We got your announcement today. I absolutely love it!! So precious! We received ours yesterday! Love it, it will soon be framed along with my other two great nieces' birth announcements! They are awesome! What a doll!